The Letter was first released as an e-book and very quickly took the world by storm, and became the No1 Kindle bestseller. At last it has been released in Paperback and many more thousands can fall for the debut novel by Kathryn Hughes. I must admit I fell for the charms of The Letter in all its glory this is a story packed full of heartbreak, and loss, primarily it is a love story with a message of hope. Quite simply it does not disappoint in anyway. A book that I did not want to end. There are a number of leading characters that run through this novel, Tina Craig is the long suffering wife of Rick who repeatedly abuses his wife. Nothing she can do to please her husband and Rick is in complete denial of who and what he does. Quite simply a vile husband who you will quickly come to dislike immensely. It is 1973 the day of the Grand National and Rick has stolen Tina’s savings from a jar at the back of the kitchen cupboard, yet he tries to convince Tina he won it on the horses. Red Rum is making his National debut and Rick has placed hundreds of pounds that was Tina’s on Red Rum. Tina has to place the bet on her way into work that Saturday morning but does she? Tina runs a charity shop next door to the bookies. While sorting through some clothes she finds a letter, this is no ordinary letter and clearly has not been posted. It is addressed to Chrissie and is dated September 1939. The story picks up in that year and of the young lives of Billy and Chrissie and War is about to be declared. The story jumps beautifully between the early 1970’s and Tina and 1939 and the story of Chrissie and how Tina and Chrissie’s lives are now intertwined with each other. The story that unfolds from here is incredibly heart-braking and could easily have been true for many in 1939. Tina despite now being pregnant wants to uncover the story of the letter and her quest and even her own journey have now begun but there is more heartbreak to come for Tina. Can she find the rightful owner of this incredible letter? What became of Chrissie? What about Billy did he survive the war? I loved the parts played by Tina and Chrissie as well as Billy it is impossible not to loathe Rick for who he was and what he did to his wife. The 1973 Grand National brought back memories for me that I would rather not recall around a father who was similar to Rick except my father backed the wrong horse and what we suffered after. So to read this early in The Letter brought tears of immense sadness to my eyes as those memories flooded back. The Letter by Kathryn Hughes is both beautifully written and incredibly poignant. You cannot fail to fall for this story. There is so much emotion written into the story that it carries you along and you just want to see a happy ending. So is there a happy ending. You will discover for yourself in a book that I am delighted to highly recommend. Thank you to both Headline and BookBridgr for a review copy. 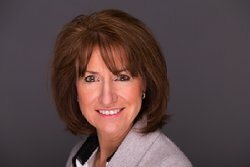 Kathryn Hughes lives near Manchester with her husband and two children. The Letter is her first novel. 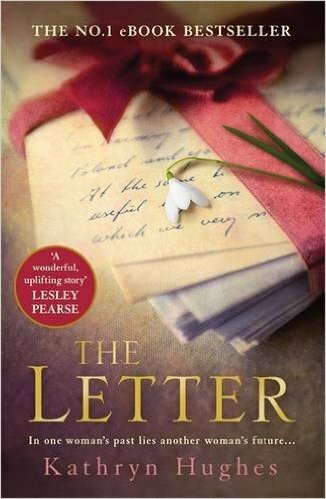 Posted on November 1, 2015, in BookBridgr, Headline Review, Kathryn Hughes, The Letter. Bookmark the permalink. 1 Comment. I thought you’d like this one. I loved it.